The location is great, surrounded by the mountains of Les Vosges, very quiet, perfect to relax and hike around. the outside courtyard and the hill view down on the village! 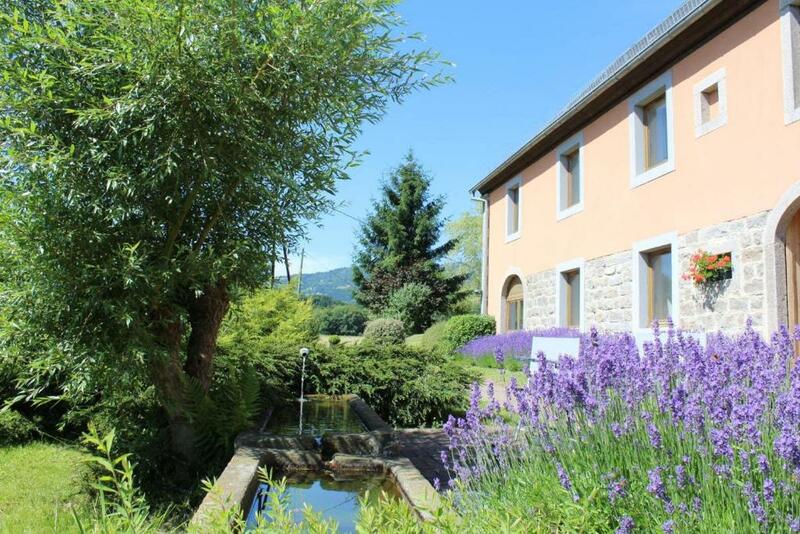 Little "auberge" in the heart of the nature, beautiful environment. Good starting point for hiking. Nice local restaurants in the village. 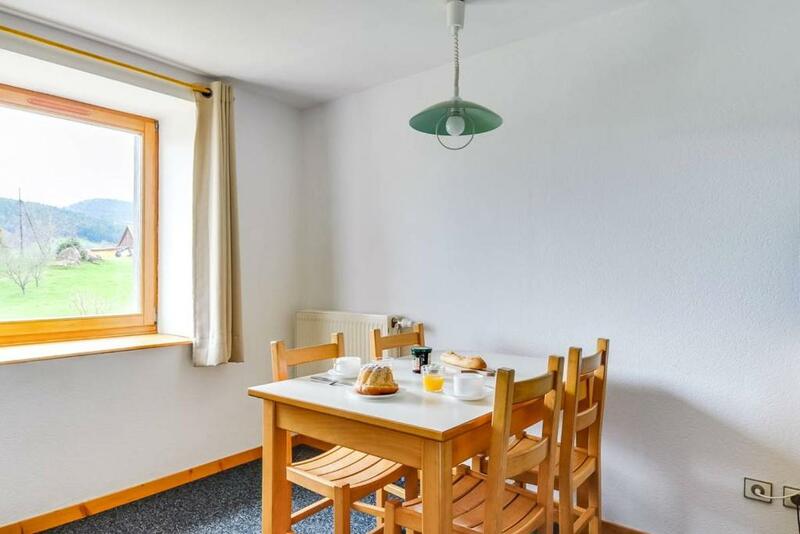 Well equipped kitchen, clean room, good heating. If you want luxury, it's not your place. If you want simple, well-functioning basic place, it's for you. It was warm enough in the room, which was very comfortable during the night. The slops of Lac Blanc are 15 min by car from the property. L'emplacement dans un espace naturel préservé, le grand calme. Excellente literie (lit large et matelas très confortable) ! (Assez rare en France) Randonnées possibles au pas de la porte. 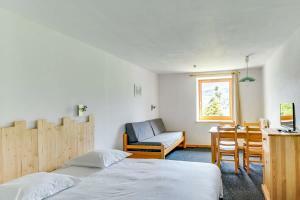 Studio assez grand et confortable. Le gîte est très bien entretenu, l’extérieur est vraiment soigné. Notre studio pour deux personnes était parfait, très bien agencé, très confortable et surtout très propre. Tout le nécessaire de cuisine est présent. Nous avons apprécié les meubles en bois pour le côté “montagne”. Le lit est grand et on y dort bien. Il fait bien chaud dans le studio. Nous avons profité du sauna infrarouge qui est très agréable. L’hôte est discret, très arrangeant sur les horaires. Il y a de belles balades à faire dans les environs. Le calme, le paysage alentour, la proximité de la piste de ski. en general todo estaba muy bien , el apartamento comodo, limpio , lo que si eche en falta era una tostadora para el pan, lo demas bien, buen parking. War sehtr schön. Glückliche Kühe, plätschern vor der Haustür. Gite Les 4 Saisons provides furnished studios and apartments in the Kaysersberg Valley of Alsace. It has a sauna. Free parking and free Wi-Fi are available. 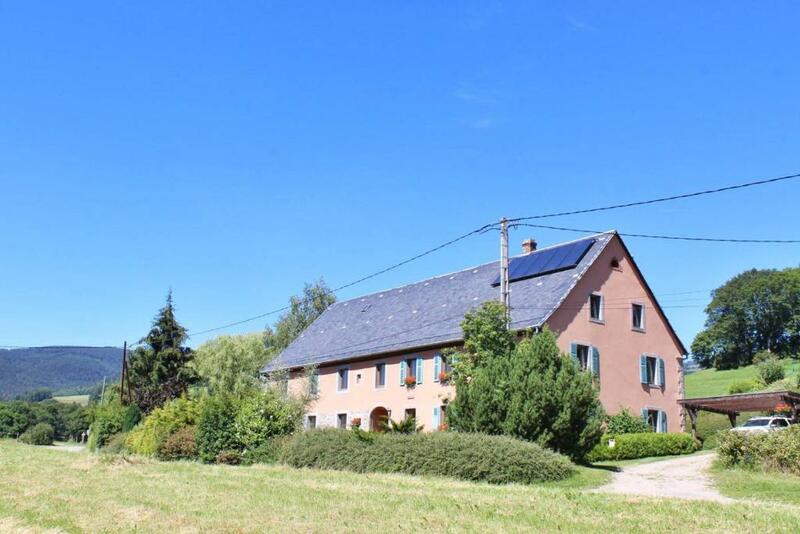 The 4 Saisons apartments are housed in a renovated farm. 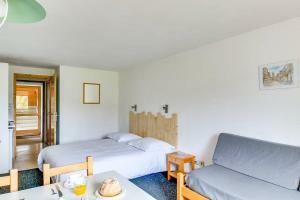 Each studio and apartment is equipped with a TV and private bathroom with shower. They also have a kitchen with hot plates, refrigerator, microwave or mini-oven, and coffee-maker. 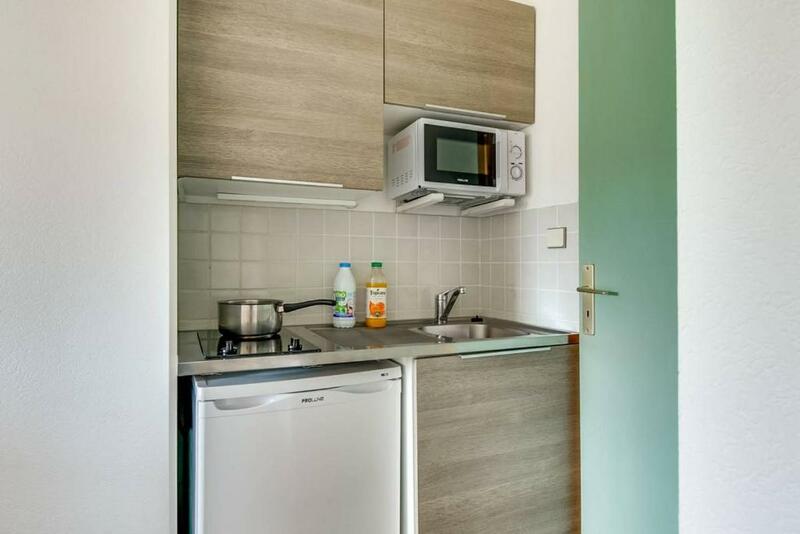 The 4-person apartment kitchens include a dishwasher. Guests have access to Les 4 Saisons’ garden, which has a barbecue, children’s play area and petanque field. 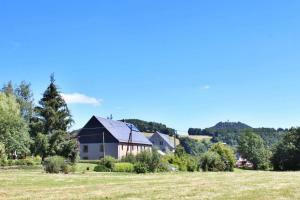 The Gite provides a washing machine for guests’ use. There are many activities near Les 4 Saisons including hiking, fishing and horseback riding. The White Lake ski station is 6.2 mi away. 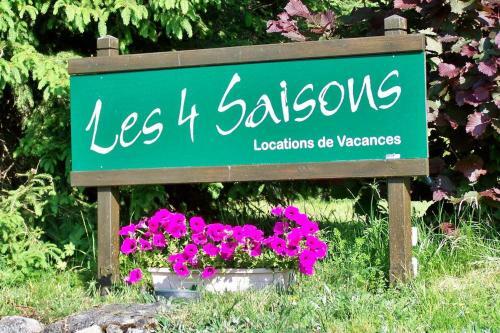 When would you like to stay at Gîte Les 4 Saisons? This room has a living area, a fully equipped kitchen with an electric coffee maker, a TV and a private bathroom with a shower. 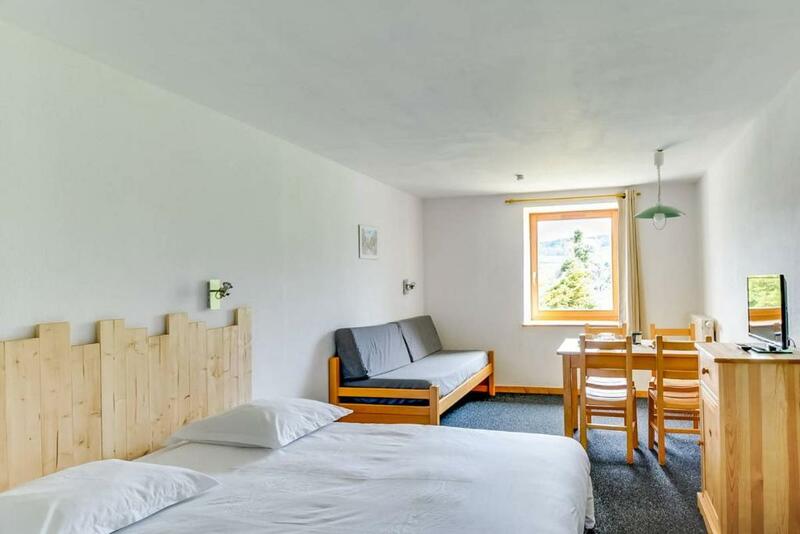 This spacious studio has a living room, a fully equipped kitchenette with an electric coffee maker, a TV and a private bathroom with a shower. Dans la haute vallée de Kaysersberg, baignés de calme et de verdure, ancienne ferme rénovée, propice à la détente et aux activités de plein air. House Rules Gîte Les 4 Saisons takes special requests – add in the next step! Gîte Les 4 Saisons accepts these cards and reserves the right to temporarily hold an amount prior to arrival. Our apartment was on top of the entrance door and it is extremely noisy, slamming all the time. With a young kid, this was a problem. The host was not very friendly and didn't even explain anything as we arrived... but we managed to find our way around. Property does not have a special room to keep the boots ski during the night. I missed the availability of hiking maps, hiking hints in the reception.